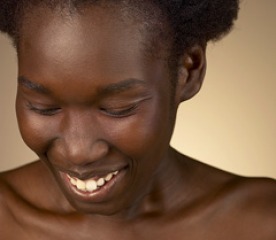 Darker skin has a tendency to develop excessive skin darkening at places where the skin was inflamed. Severe inflammatory acne (cysts and nodules) may result in dark spots. The spots disappear over time; a dermatologist may be able to recommend cosmetic measures to make the spots less apparent until they resolve. Some acne treatments, such as topical retinoids and azelaic acid, may also help fade the discoloration. Alterations of melanin (dark pigments that give the skin its color) pigmentation such as vitiligo and melasma are not related to acne, but they may be present simultaneously with acne. The diagnosis and treatment of melanin pigmentation disorders such as vitiligo requires a dermatologist with knowledge and experience in treating these conditions.